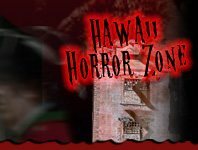 While other places offer the experience of a haunted corn maze, in Hawaii you can get more. There are even haunted pineapple garden mazes to enjoy during the Halloween season! Catch sight of crops grown on Hawaii as you find your way out of the winding paths with dark deep surprises that may lurk out of nowhere as you try to find your way out.